The Tibetan Alliance Of Chicago is the Evanston-based association for about 350 Tibetans in living in the Chicago area. Friends of the TAC are organizing an exhibition to celebrate the community’s 25 year history. 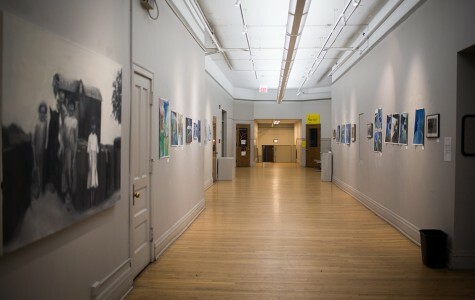 It will be held during the Spring of 2019 , at Evanston’s Noyes Cultural Center. The project is taking shape under the guidance of the TAC committee using the resources and effort of their friends. We invite you to contribute in any way you can… with artworks, photography, time or money. In 1992-3 some 1000 Tibetan refugees, living in camps in India, were granted visas, found accommodation and placed in jobs in 10 different “cluster cities”, under the auspices of the privately organized “Tibetan Resettlement Project”. Phase 1 was completed 25 years ago, at which point 92 Tibetans had arrived in Chicago. Since then the size of the community has grown as visas were granted to family members, children were born here, and a handful of direct immigrants from Tibet arrived. They have amazing stories to tell! The challenges for such a tiny community negotiating the integration process resembles those faced by any immigrant group striving to maintain its culture in a profoundly different society, but the tension between preservation and assimilation is only amplified by their small size. The older generation has invested enormous effort to preserve its linguistic and religious heritage, and to maintain a distinctive “Tibetan” identity alongside the “comfortably american” outlook of the generation born in the US. This year the worldwide Tibetan diaspora – under the auspices of the Government in Exile – is planning events to thank host countries around the world for their generosity. The 25th anniversary in the US presents a special opportunity for outreach, and the TAC is very busy organizing events aligned with the worldwide celebration. We can be partners in their efforts.